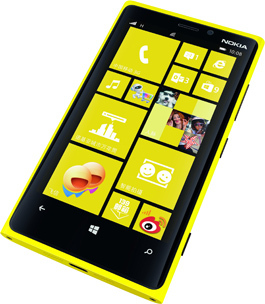 Nokia has announced that its Lumia 920T smartphone is coming to China Mobile, the country’s largest carrier, and it will launch before the end of the year for 4599 RMB ($739 – off contract) with a choice of black, white, yellow and red. The launch — which will be the first Windows Phone for China Mobile’s 3G service — had been largely speculated for some time, particularly after the operator gave the game away with a post on Sina Weibo last month, and it is a significant move for both parties. Nokia lost $754 million in its last quarter, during which it sold just 2.9 million Lumia phones, down 1.1 million sequentially. A tie-up with China Mobile — the world’s largest operator with 703 million subscribers — could massively boost its numbers, and it crucially comes without a need to compete directly against the iPhone. Despite boasting the world’s largest userbase, China Mobile does not have a deal to offer the iPhone, unlike its two smaller competitors. That is harming its 3G market share. Though dominant with 75 million 3G customers, both China Unicom and China Telecom enjoy ‘the iPhone effect’ in China and are seeing faster user growth than China Mobile. For Nokia, however, that makes the Lumia 920T a stand-out, high-end device for any of China Mobile’s customers that want to stay with the network and use its 3G network. Notably, more than 15 million users have iPhones (bought unlocked or ported from other carriers), but they operate only on the 2G network – giving Nokia a real boost. Nokia has announced a partnership with Air China that will give its users access to wireless chargers in Beijing Airport VIP lounges. While Foursquare-like Jiepang has introduced a dedicated service for the Lumia 920T, which lets owners of the phone redeem deals using NFC in Beijing, Shanghai, and Guangzhou. “We are delighted to partner with China Mobile, the world’s largest operator, to introduce China’s first Lumia based on Windows Phone 8. People around the world are responding positively to the new Lumia devices, and we’re confident that the enthusiasm will extend to China with the Lumia 920T,” said Stephen Elop, President and CEO of Nokia. Given its price, the phone is not likely to make much of an impact on China’s smartphone market as a whole. Android continues to dominate proceedings, with a recent report giving it 90 percent market share, thanks to the wide range of phones (and price-points) powered by the Google-owned operating system. Nokia unveiled its first Windows-powered device for China, the Lumia 800C, in March. 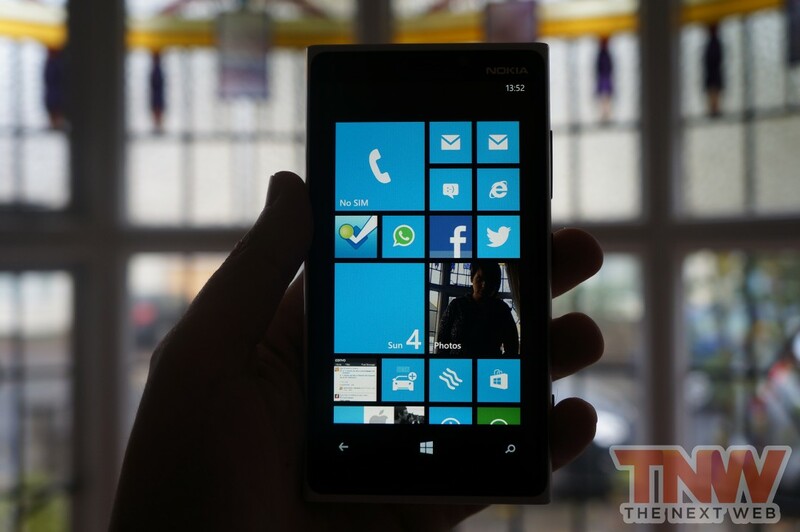 The Lumia 920 itself was unveiled in September. The Lumia 920T is different from the standard version since it includes support for TD-SCDMA, China Mobile’s unique 3G standard, as well as TD-LTE, the protocol that it is using for its 4G network. Both of these technologies have seen as the main reason why the operator hasn’t partnered with Apple. Nokia can also expect to get help raising its visibility from partner Microsoft, which recently launched its online store in China to promote its Surface tablet and the Windows Phone platform. The Lumia 920 has fared well internationally after selling out on Amazon and AT&T’s websites in the US. That indicated early sales demand but the phone continues to live in shadows of the iPhone 5 and Samsung’s Galaxy SIII.